As Vani Hari (the “Food Babe”) gloats over a nonsensical GMO labeling victory in which she arguably had no involvement, my nominee for the World’s Greatest Hypocrite award continues to pull the wool over the eyes over the collective sheep following her: This November, Food Babe will mark her sixth year as a seller of products derived from GMO corn. 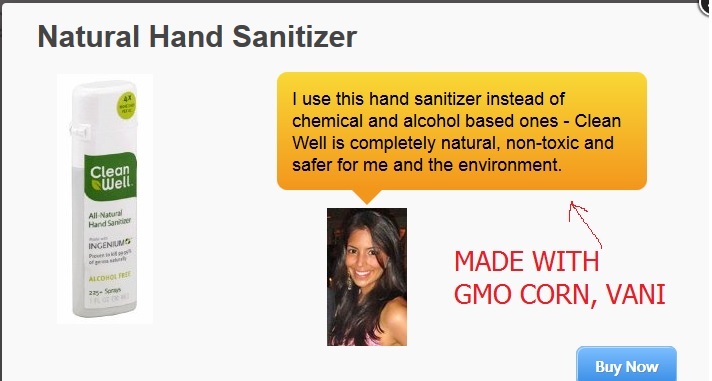 As I’ve pointed out numerous times, Clean Well Hand Sanitizer, which Hari hawks on her shopping page, is made with GMO corn. Food Babe has been selling this product for over five years, and the GMO-sourced corn has been very clearly pointed out to her time after time. 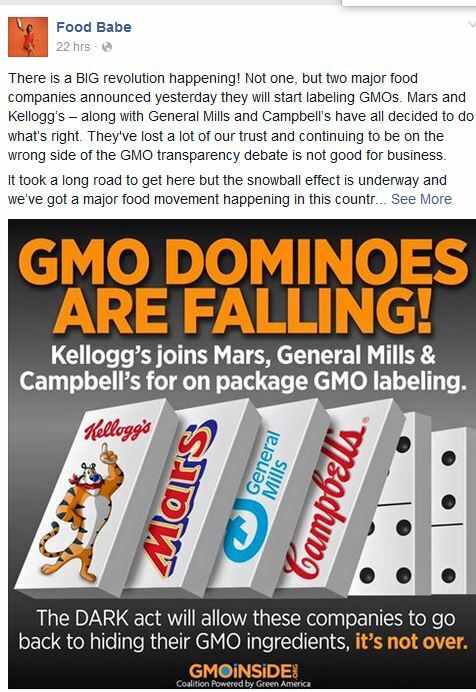 How can you rant against GMOs and simultaneously sell products made with them? Oh, your name is Vani Hari. Oh, wait. You haven’t pulled all the artificial dyes yet. You’re still selling them to children, along with an organic pesticide. I’m sure you’ll get around to addressing that. Eventually. Maybe. JUST LABEL IT VANI. Food Babe claims GMOs are toxic and bad for the environment, but it hasn’t stopped her from selling a product made with GMO corn for over 5 five years. Vani Hari deserves to be called out on this. The net result will likely only be her quietly pulling the product from her online store and denying it ever existed, but why not try? Suggested Twitter hashtags: #FoodBabeArmy, #FoodBabeWay, #PotKettleBlack, and #GMO.